For the 2018-2019 ski season why not drive from the UK to a resort in Europe with our self-drive ski holiday packages. This allows you to save hundreds on the cost per person vs flying. It also allows you to take as much luggage as you want which is perfect for families and groups. Below you'll find prices for our self-drive packages which start from only £147 per person. Our prices includes your accommodation for a week as well as tickets for the Eurotunnel. Once you've crossed the English Channel your drive to a ski resort in France will take roughly 8-10 hours from Calais. Below you can see some of the best self-drive ski deals for 2018-2019. Prices based on max occupancy of the apartment and subject to availability and change. Please note below prices include a standard return Eurotunnel Crossing. Flexiplus tickets are available for a supplement. Ferry crossing are also available on request here. Please call for details. Pre-book your lift pass and ski hire in advance through us and you'll get the best deals and prices compared to buying once you arrive. It'll also mean you'll have less to do once you get to your resort. As well as this we have a selection of Starter Packs which include various essentials to make the start of your trip that much easier. These Starter Packs are available upon request and at select resorts. Eurotunnel crossing are available from Folkstone to Calais and will be pre-booked by Skiworld. The crossing time is approximately 35 mins. You will need to provide outbound and inbound dates, amount of people, preferred times and vehicle type and registration no. 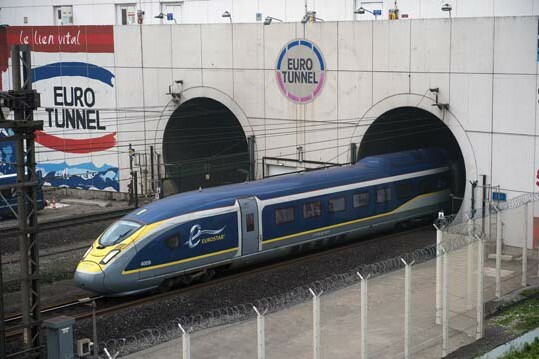 Once booked you will receive a Eurotunnel reference number which you will need to take to the departure terminal. Please note for all Eurotunnel booking Advance Passenger Information is required. When driving in France you will find various toll stops which are are payable on nearly all French motorways. The amount you pay is based on the distance traveled. You should expect to pay approximately €80 each way from Calais to the French Alps. Parking is available in most self-catered apartments. The charges vary per property and details are available on request. Here is the approximate driving time and the distance from Calais to the different ski resorts in Europe.